About 9,000 of possible new ancient sites have been discovered by archaeologists using computers to scour satellite images. Jason Ur said he had found about the potential early human settlements in north-eastern Syria. Computers scanned the images for soil discoloration and mounds caused when mud-brick settlements collapsed. Dr. Jason Ur said surveying the same area on the ground would have taken him a lifetime. Writing in the Proceedings of the National Academy of Sciences, the researcher said: “With these computer science techniques, however, we can immediately come up with an enormous map which is methodologically very interesting, but which also shows the staggering amount of human occupation over the last 7,000 or 8,000 years. “What’s more, anyone who comes back to this area for any future survey would already know where to go. In the past, Dr. Jason Ur used declassified spy satellite photographs and the human eye to try to identify potential sites. But over the last three years, he has worked with computer expert Bjoern Menze, from the Massachusetts Institute of Technology, to create a software application able to classify a huge range of terrain. Dr. Jason Ur said this had removed subjectivity and allowed them to look at a much larger area. In all, about 9,000 possible settlements were identified across 23,000 sq km. Ideally, Dr. Jason Ur said, some of these would be excavated, but the volatile political situation in Syria had forced them to put any ground searches on hold. 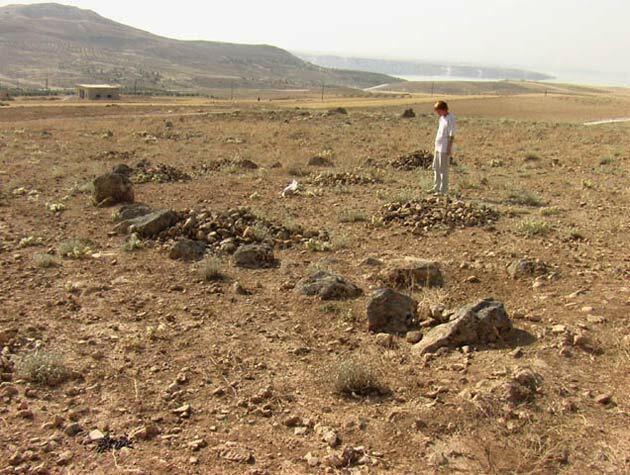 However, Dr. Jason Ur said that he hoped to conduct further research in the Kurdish provinces of northern Iraq, and follow that up with excavations that would be “a very rigorous testing of the model”. Archaeological work in Iraq has not been popular in the past, but Dr. Jason Ur feels the time is right to identify heritage sites of importance and ensure they are not lost as the country presses on with widespread development of its towns and cities.